The name related to the sky blue color of the water that splashed its coastline. The resort of Ouranoupoli features beautiful environment and an easy access to some important attractions of the region. Ouranoupoli faces the Mount Athos Bay, between Sithonia and Athos peninsulas. The resort has a beautiful, organized sandy beach, which is only one of many enchanting golden-sand beaches in the vicinity. The waters are crystal clear, while the surrounding area features lush vegetation. The main beach of Ouranoupoli features the Blue Flag award. Ouranoupoli has all necessary facilities for a relaxing and carefree holiday. Stores selling produce, souvenirs and other necessary and desired goods are available here. The same is true for taverns and bars, which line the main promenade. The resort caters to travelers wishing to spend a peaceful holiday. You can find places working at evening, but they don’t stay open very long. The resort of Ouranoupoli is an ideal base for sightseeing activities. It is well connected to Thessaloniki, the capital of Macedonia, which is around 100 kilometers away. 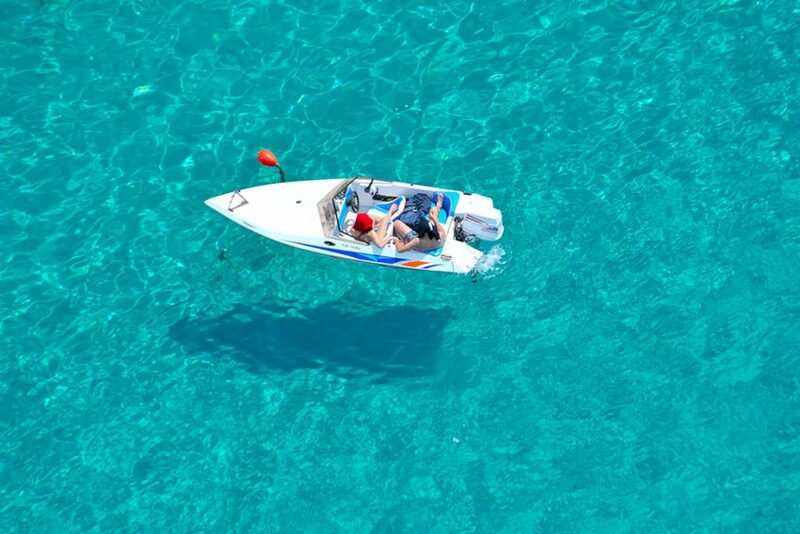 By car, you can reach Sithonia, a green peninsula of Halkidiki, with ease. Olympiada, ancient Stagira (Aristotle’s birthplace), Nea Roda and Ierissos are also nearby. 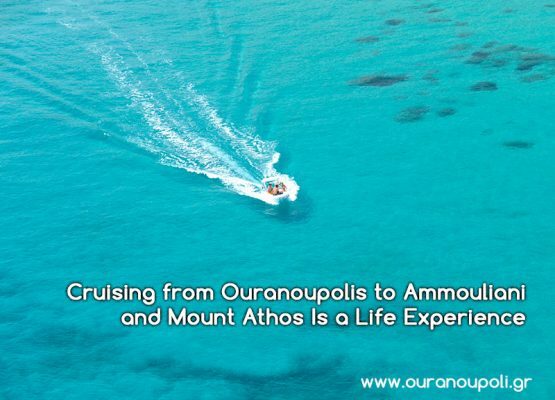 Above all else, Ouranoupoli is famous as the “Gate of Mount Athos”. From its port, boats depart on a cruise along the coast of the Monastic Republic. 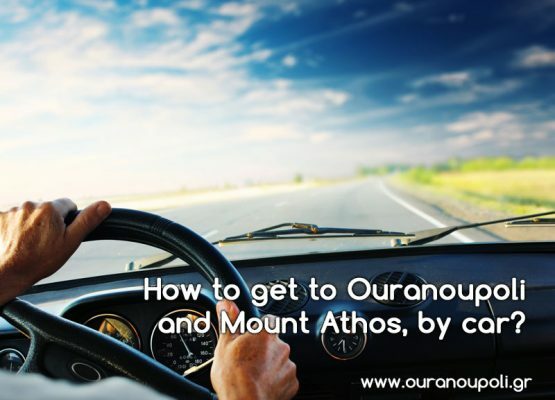 There is an office that issues pilgrim licenses for a visit to Mount Athos near the port. Also, you can take a boat to Ammouliani Island. 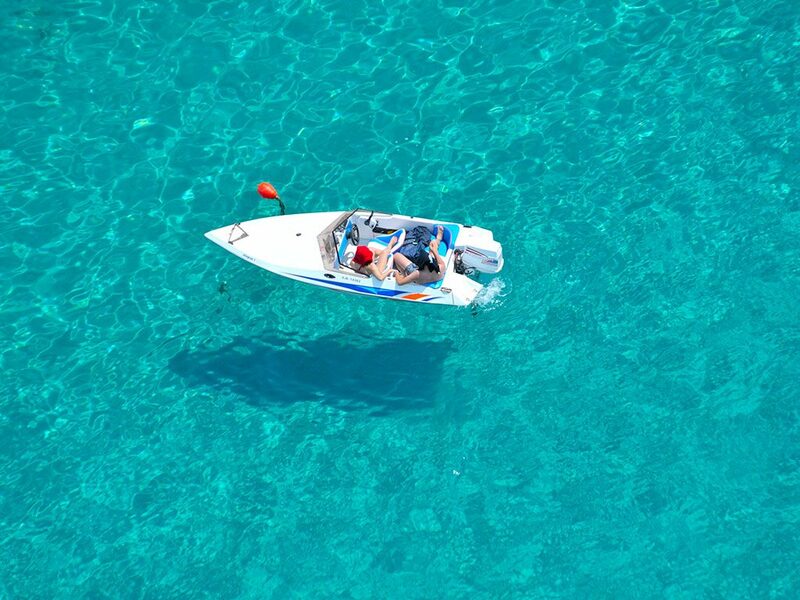 You may have heard of it as an “Island Paradise of Halkidiki.” Don’t miss to visit Alykes Beach there. So, if you like to spend a peaceful holiday, Ouranoupoli is the right place for you. Thanks to many attractive places a short drive away, it is also ideal for active vacations.